During his undergraduate studies at Cornell, Alec was a team leader of a group of students that designed, built, and raced hybrid electric vehicles long before the advent of the Toyota Prius. After graduation, he moved to Michigan to work at one of the big three, where he gained his first experience in industrial energy conservation as a process engineer on the factory floor. After deciding that Michigan was too far from the ocean and the mountains, he moved to Boston to work for an electric vehicle R&D company. In 1999, he determined that his career interests lay in the energy consulting field, and landed a job at DMI. He took over the roles of president and owner in January 2005. As the primary reviewer of DMI's work, he is involved in each project that DMI works on. Outside of DMI, Alec has taken on the long-term task of restoring a 17th century mill property where he lives with his family. Analyzed the cost effectiveness of retrofitting variable speed drives on chiller compressors and cooling tower fans for a 1,500-ton chilled water plant. Made extensive use of historical interval demand data to develop accurate load profiles, including operating hours and ton-hours for each of the three chillers. Determined that the retrofit was cost effective for two of the three chillers and cooling towers, but that the third chiller did not generate enough savings to be considered cost-effective. Provided design phase document review and commissioning support for several LEED-targeted new construction projects. Such projects include a new office building for a leading pharmaceutical manufacturer and several large mixed use facilities throughout New England. Mickey came to DMI from the Syracuse University Industrial Assessment Center. He serves DMI as an Associate Principal. While away from DMI, he is an avid baseball fan and runner. Mickey's role as Associate Principal at DMI includes project management responsibility, business planning, and coordination of our efforts for key clients. Provided coordination and leadership for the construction-phase LEED commissioning activities for a new high-rise green residential building in Boston. Modeled energy consumption and savings for the major systems renovation at a leading pharmaceutical manufacturing facility. This included automation of a water-side free-cooling system, variable speed drives on air handlers allowing for HEPA constraints, upgrade of chilled water system including chillers and pumps, and occupancy control of lab space ventilation. Wrote site evaluation plans, visited facilities to collect information and metering data, completed analysis, and authored evaluation site reports for HVAC and process impact evaluation studies. Coordinated and managed study completion for several evaluation sites. 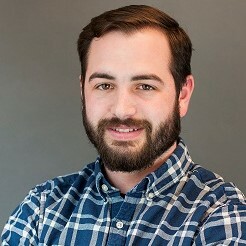 Jay graduated from UMass Amherst and has previous experience in the design of electrical connectors and switches. Since coming to DMI, Jay has developed strong experience in HVAC and industrial process energy analysis. He serves DMI as an Associate Principal. While away from the office, Jay is an avid cyclist and skier. He also participates competitively in canoe racing. Jay's role as Associate Principal includes the supervision of junior engineers, the management of projects from start to completion, and interaction with clients and customers on a number of fronts. Analyzed energy savings associated with the installation of a variable speed drive on a chiller. Developed block load model for calibration with utility demand data for the facility. Collected and analyzed metering from process equipment for a major dairy processor and distributor. Estimated savings associated with the installation of variable frequency drives on pumps serving a homogenizer and the re-piping of distribution systems to minimize process cooling and heating energy. Studied and analyzed energy efficiency measures for a large, new supermarket facility in western Massachusetts. Analysis included comprehensive assessment of recommended measures in order to determine interactivity between individual opportunities. 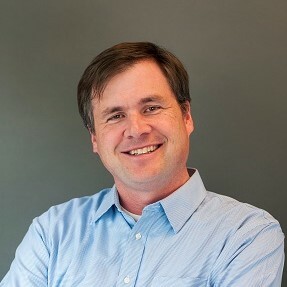 Rob earned his BS in Engineering from Trinity College (CT) and his MS in Mechanical Engineering from Georgia Tech, where his studies focused on Thermodynamics and Heat Transfer. Having a particular interest in alternative energy, his graduate research focused on modeling and optimizing the performance of solar thermal collector fields for large scale energy generation. 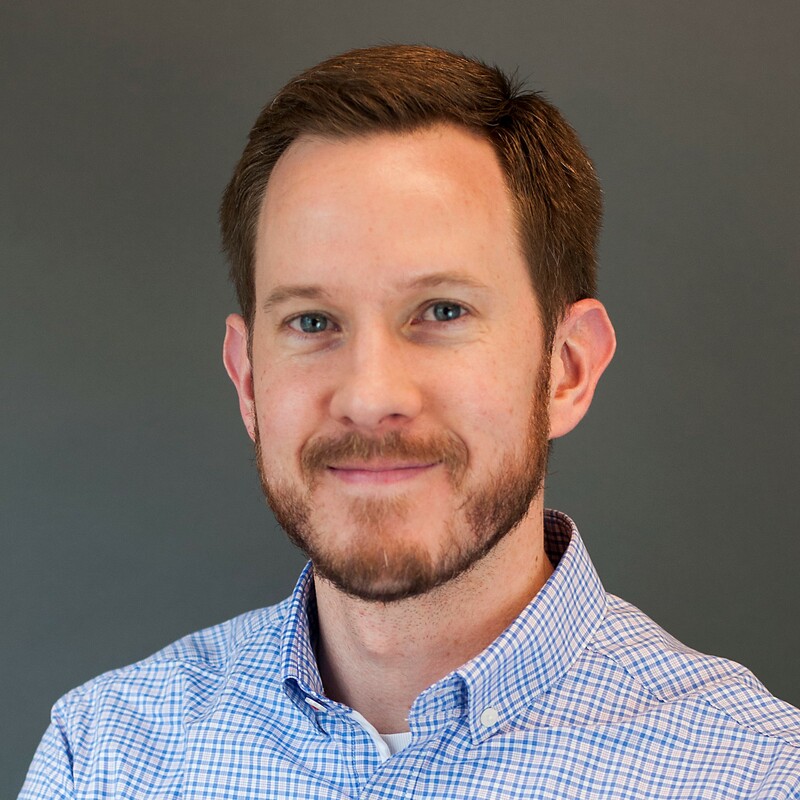 Since joining DMI in 2007, Rob has gained extensive experience in whole-building energy modeling and technical analysis of energy conservation strategies in commercial buildings. While away from DMI, he stays active by participating in team sports including soccer, basketball, and volleyball. As an Associate Principal, Rob's responsibilities includes the supervision of junior engineers, business planning, project management, and interaction with clients and customers on a number of fronts. Energy modeling and savings analysis of efficient design alternatives in support of utility incentive programs for four new municipal schools. Design assistance, LEED energy modeling, and commissioning for a new renewable energy technology testing facility. Energy and cost impact analysis for several proposed combined heat and power system installations. Identification and savings analysis of efficiency upgrades to existing cooling systems in three data center facilities. Kevin graduated from UMass Amherst where he studied mechanical engineering. While at UMass he worked with a team of engineers to design and build a laser power and beam drift detector for CNC laser calibration. 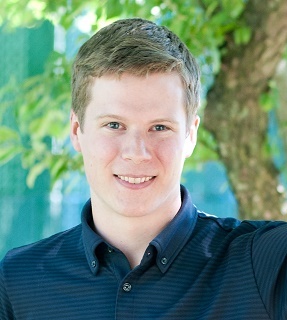 Before joining DMI, Kevin was an intern at an HVAC design firm. Outside of work, Kevin is an avid skier and hiker. Completed whole-building hourly energy models for multiple schools, lab buildings, supermarket, and office building. Analyzed the energy savings associated with the installation of variable speed drives and controls on various peices of process equipment. Evalutation of multiple completed energy efficiency projects using post-retrofit metered data. Maddy graduated from Cornell University with both a MEng and a BS in Environmental Engineering. Her courses focused on sustainability and, for her master's project, she developed an energy model of the first academic building proposed for Cornell's NYC Tech Campus. Prior to joining DMI, Maddy completed internships at an environmental consulting firm and a power utility. Outside work, she enjoys traveling, speaking Spanish, and exploring nature. 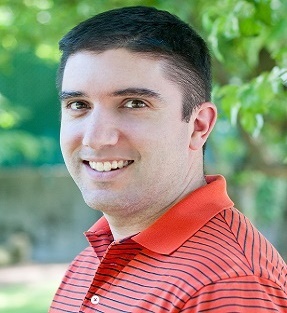 Patrick is a graduate of UMass Amherst where he earned his BS and MS in Mechanical Engineering. His coursework included energy storage thermodynamics, solar power and wind energy. While at UMass, Patrick held a research assistantship with the UMass Wind Energy Center and assisted in reviewing the suitability of sites for wind turbines throughout Massachusetts. Before joining DMI, Patrick performed product compliance audits for the Canadian Standards Association and designed linear motion systems. Outside of work, Patrick enjoys running road races, skiing and writing science fiction. He is an avid Patriots fan. Shannon earned her BS in Engineering from Olin College of Engineering in Needham, MA, and her MS in Sustainable Technology from KTH (Royal Institute of Technology) in Stockholm, Sweden. At Olin, her concentration was in materials science. At KTH, she focused on environmental technology and systems analysis. For her master thesis, she analyzed the energy efficiency of municipal wastewater treatment and sludge handling. 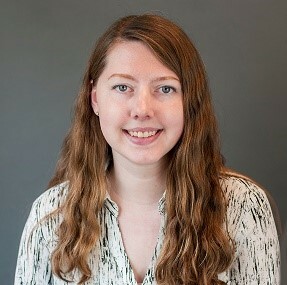 She completed internships at two environmentally-focused technology startups; the first involved HVAC systems and the second, stormwater management and business analysis. She is fascinated by the energy-water nexus. Bennett is a graduate of Northeastern University where he earned his BS in Mechanical Engineering. For his capstone project, his group designed and built a thermal cycling fixture for the purpose of analyzing delamination of photovoltaic cell samples. Prior to working as a full time employee, he worked as an Engineering Co-op at DMI during his time at Northeastern. 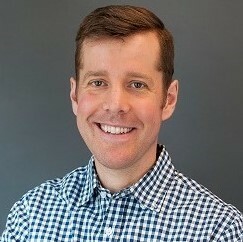 Bennett has also worked as an Engineering Co-op at a distributor for Carrier HVAC products, as well as a cloud-based building analytics tech company. In his free time Bennett enjoys playing guitar. Erica earned her B.Eng in Chemical Engineering and minor in Biotechnology from McGill University in Montreal, Quebec. She went on to receive a Collaborative Master's of Applied Sustainability inChemical Engineering at Queen's University in Kingston, Ontario. Her undergraduate design project was to develop a plant and all of its processes for waste-to-energy through a vitrification process. Her master's thesis was a catalyst design for application of converting waste volatile organic compounds to hydrogen fuel for energy storage devices for an automotive assembly plant in Ontario. In her free time, she enjoys ultimate frisbee and trail running. Kyle is a graduate of Tufts University where he earned a BS in Mechanical Engineering. Kyle provides field engineering services, particularly in the areas of metering and data collection, as well as working on various other assignments for DMI. In his free time, he enjoys woodworking, car repair, and playing music. 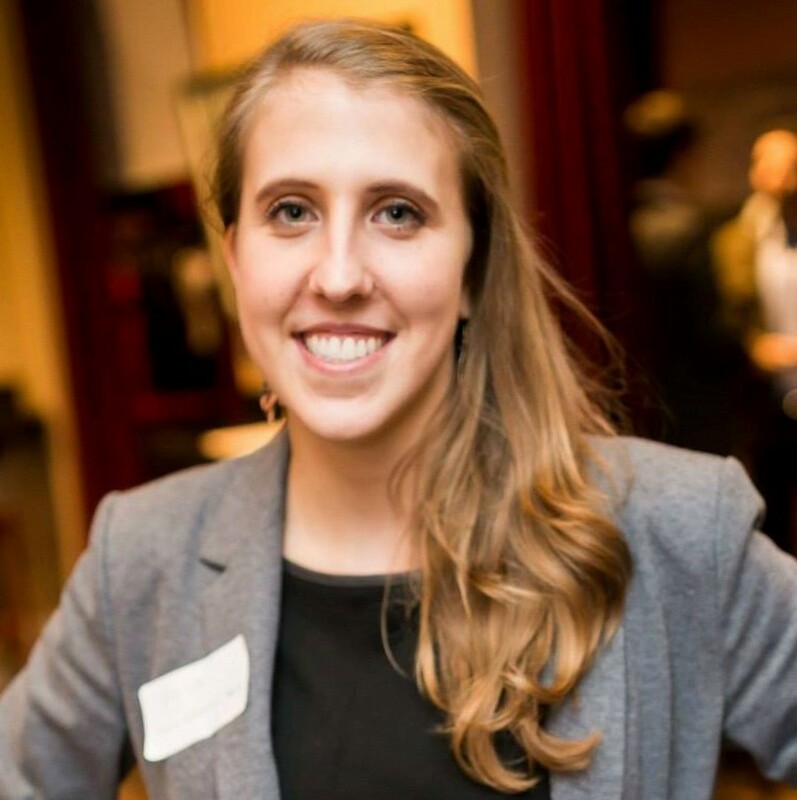 Emma is a third-year student at Northeastern University currently pursuing her BS in Chemical Engineering. She joined DMI through the Co-op program and will assist on project work. 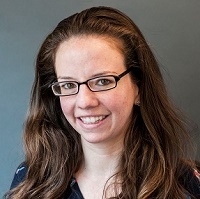 She previously worked at the Massachusetts Clean Energy Center in the Clean Heating and Cooling department. She is passionate about sustainability and wants to pursue a career in clean energy and clean tech. In her free time, Emma enjoys hiking and live music, whether its Broadway shows or concerts. 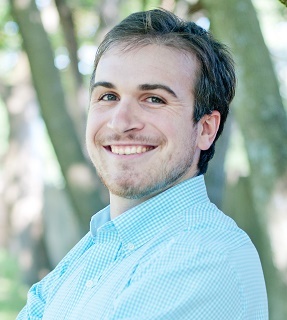 Brian is a third-year student at Northeastern University currently pursuing his BS in Mechanical Engineering. He joined DMI through the Co-op program and will assist on project work. He previously worked at Eversource as a consultant for commercial new construction energy efficiency projects. Brian is very interested in clean energy and wants to continue to work in energy efficiency throughout his career. In his free time, Brian enjoys the outdoors and loves to hike, camp, and travel. Kathy is DMI's office manager and provides much needed intellectual balance to a company full of literal, engineering-minded professionals. She manages the day-to-day administrative operations of DMI, including bookkeeping and payroll. 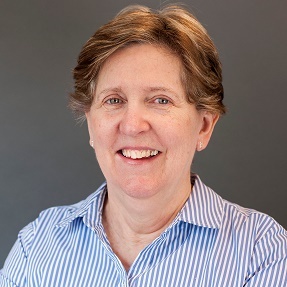 Kathy also assists DMI's management team by compiling status reports, proofreading documents, assembling proposal packages, and making sure everyone's timesheets are up to date and accurate. Kathy comes to DMI with a variety of professional experiences, having worked in public relations, transportation consulting and office management for the creative trades. She was also a contributing author for a life-skills coaching manual. Kathy is a graduate of Manhattanville College. After completing his undergraduate and graduate work at Cornell and Harvard, Peter worked briefly in the petroleum industry. He quickly moved into the field of energy conservation by founding his first company, which specialized in residential energy audits and insulation retrofits. He subsequently ran the HVAC department at a major Boston engineering firm, and also served as a vice president for an outfit that specialized in energy conservation in the healthcare environment. Peter started DMI in 1989, initially working out of his attic. He quickly expanded operations, developing DMI into one of the most respected energy engineering firms in New England. After running the company for 15 years, he turned the reins over to Alec Stevens in January, 2005. Peter continues to serve DMI as a part time consultant, and is a valuable mentor to junior engineers. In his time away from DMI, Peter has a strong interest in making the world a better place for all. He serves on the board of directors of local non-profits that range from interfaith outreach programs to organic gardening co-ops. Peter also enjoys backpacking and canoeing, and has spent portions of the past several summers hiking in the Pacific northwest and relaxing in Northern Maine.